As the spring sports season approaches, teams are gearing up to remain competitive against league foes in the regular season. Wilsonville's golf team is not exempt from the skills arm race currently in the works. Wilsonville golf coach Jason Payne recently told the Spokesman that his team will be working with Boones Landing Physical Therapy's Jason James to help develop the athletes into well rounded golfing machines. James is certified through the Titleist Performance Institute (TPI) to help screen athletes and find areas of physical improvement to take their golf games to the next level. "What the TPI institute tries to do is give the golfers a road map so they can improve to the best of their ability," Payne said. "So instead of focusing on more superficial stuff like 'Is your swing upright?' or 'Is it flat?' you focus on nuts and bolts things. The goal isn't necessarily to improve your swing, it's to improve your body, but in doing so to improve your swing." Focusing on the "nuts and bolts" is something Payne believes to be unique to the high school level. While he is unsure how many strokes will fall off the team's scorecards, the Wilsonville coach believes that the improvements to the team's swings will be translatable to the everyday. "What I expect is if the kids really follow through on the program they'll have a better quality of life," Payne said. "The TPI program, what it's measuring for golf physical fitness is also applicable to life, unlike speed skating or something. How far around can you turn, can you bend over easily, things like that. The ultimate goal is to alleviate or remove as many road blocks in front of the golfers as possible which will ultimately allow them to reach their potential that much easier." The partnership between the Boones Landing Physical Therapy and the Wilsonville golf squad came about when Payne reached out to James to see if he could help the team in any way. Payne knew that James was certified through the TPI to get the athletes into the zone. "Within reason, I think he can give us as much time as we ask," Payne said. "I'm trying to be respectful of the time he's already given us. Because we're doing it for anyone in the program that wants to do it, and some day it will be mandatory. Right now it's preseason so we can't mandate anything." "He's already screened 15 or 16 golfers, so that was probably close to 10 hours of his time right there," Payne continued. "That doesn't even include the back end work where he went through and put the exercises together. He'll probably do that two more times this season, and then showing up to team workouts on a regular basis to make sure we're doing everything properly." 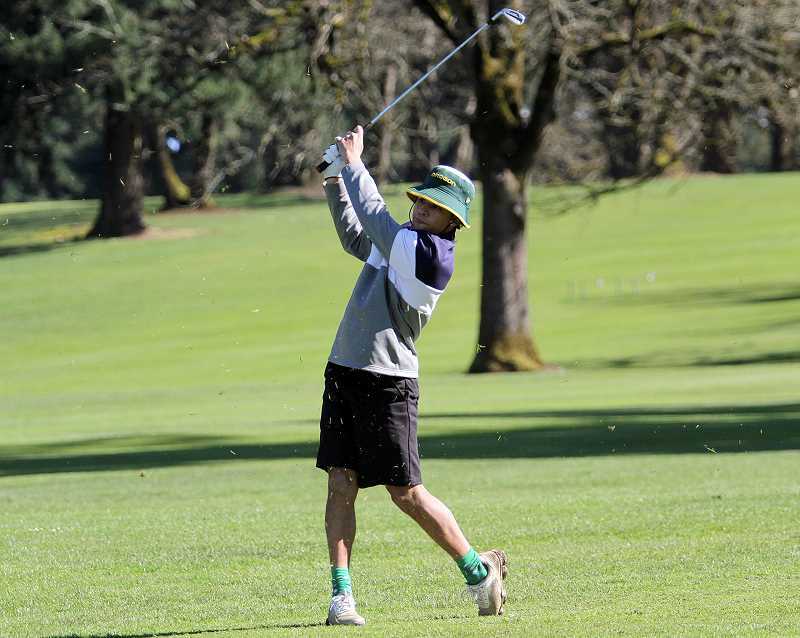 The Wilsonville boys' golf team competes at Wildwood Golf Course against St. Helens and Scappoose Monday, March 18.